Nice looking theme, good luck! Quick question, is it possible to remove the public view count on the posts? Thanks! In a few hours will be available the version with the option to disable the public views in posts. I have uploaded the new update, where were added the options to enable/disable the views count for blog posts pages, news posts pages and media posts pages. Soon, it will be available, for download. Clean, elegant and classic looking theme! Heads up with sales mate. Well wishes. Awesome, thanks for the update. Three quick final questions. 1) Is the header area customizable? (Ex. removing the map of the world and date, or adding a header photo to appear behind the logo, etc.) 2) Are you able to remove the secondary menu bar below the main navigation bar? 3) Are you able to add multiple “Main News” sections on the homepage for various categories? Thanks! 1) The header area is fully customizable from theme admin panel. You can remove social links from the top menu, the entire top menu, the secondary menu, the date and/or the banner from the middle section or the entire middle section from the header with logo, date and banner. The map is an image as background, I will add an option to remove or to set other image/color as background. 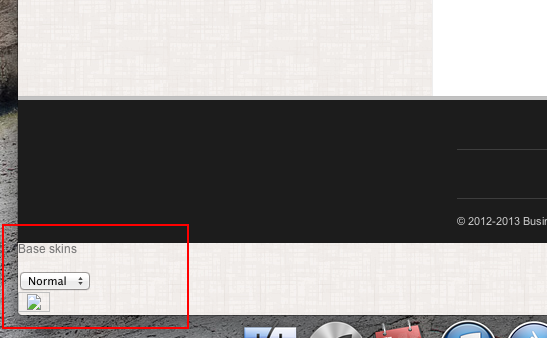 2) From the theme admin panel it is possible to remove the secondary menu bar. 3) The homepage is fully customizable, with shortcodes you can add slider, multiple news sections with all news or each section with predefined category. question : Can i have under Main News Political news boxes >>>econimic news>>>showbiz news >>> and so on multiple category boxes ? Yes, it is possible to set the category id and to add more shortcodes with different categories. i mean category under category check this www.expresspress.ro something like this is posibile ? - Is it possible to make the slider as a headline story? Just showing 1 item only? - Let’s say I have one category only: Will the news under the slider – 6 news – be the same under “main news” category which has 4 news? Will I have duplicate content? - There are 6 news under the slider can i make them 8? - Do you mean to make slider from the section “Special Topics” that is placed on the homepage under the menu? - You can set the category parameter in this section, also you can add more sections like this, each of them with own category. - You can set the news count in every news section. I mean the slider that has 4 news and you can go next and previous. It has big image and it’s placed directly under “SPECIAL TOPICS”. I don’t want to use 4 news there. Can I just use one news as a headline story? Of course. Just use the parameter count=”1” and you will have only one slide. Oh I spent few minutes on the theme man. Do you do custom customization for your customers? Thank you. Yes, I do. Hope to see you, one of our customers in near future. Beautiful Webvision ! Thanks you very much ! Very good job ! i can’t figure it out, why i have this option box? I will remove the demo options panel in the next update. 1) The title with NEWS you can set yourself. 2) In the Organic Tabs you can set which one to display or to hide. 3) The theme is fully customizable. Depends which advertisements do you mean. Please send more details. 4) You can add the register page template if you want users to register. This is good for example, if you want to receive comments from the registered users only, or to give the permissions to some users to post news, blog posts, or something else. I saw your new theme Business News and I like it very much. But I have some questions about the theme’s admin panel. Would you be so kind to present me a demo to log in and to see what’s happening inside of the theme’s administration? If it’s not possible you can send me some screenshots of the admin panel. I really want to buy the theme but before that I want to see the admin panel. Thank you for your answer, I’ll be waiting. There you will find all screenshots, including the screenshots from the admin panel. Is there a way to show most recent comments in the sidebar? That’s a very important feature for us. I have made an update and added the most recent comments widget. Will be available to download in a few hours. You said that “You can add the register page template if you want users to register” That means the page which I am seeing http://weblionmedia.com/businessnews/pages/registration/ is not a part of the theme? Is the word All the news (below the posts) can also be customized? The register/login page is the part of the theme. Words “All the news” can be changed in the page template. Two more questions: 1) This theme seems to be based solely on custom post types. In other words, all my existing content is useless unless I convert every post to one of your pre-loaded custom post types (News, Slider, Media). Is that correct? 2) The Slider is also a custom post type. In other words, it is not pulling from posts of a particular category or tag. It’s just showing custom-made slider images and text. Is that correct? Yes, you are right, theme has custom post types and if you already have the content as blog posts, then you can change via mysql the “post_type” from “post” into “news” in table “wp_posts”. The same is for the slider. All posts for blog, news, media and slider are added into the table “wp_posts” with the different “post_type” values. Great-looking theme! Very clean and modern. Congrats! I am considering it for my magazine site. However, I am concerned about the last question and answer regarding custom post types. My magazine site is organized like most Wordpress sites—posts are assigned to categories, the main nav displays the categories, the slider on the homepage displays the most recent posts in whatever categories I assign. Is that not how this theme works? In the demo, in the nav, are Business, Technology, Media categories? Can I set the nav to display categories? And lower on the homepage, are the sections titled Main News and Best Materials also categories? If not, what posts are being displayed in those sections and how? The News posts are divided from the blog posts. So you can create only the site with blog posts or the news site with the blog posts included. You can assign any pages like Business, Technology, etc… to their own category. So will be displayed the news posts only from the selected category. The same with the section like Main News and Best materials, you can display there news posts from all categories or from the selected category only. Thanks for the quick reply and clarification! As I understand it, I can set the theme up just like most WP themes, assigning posts to a category, creating a nav from categories and displaying latest posts in the slider. Two questions about authors: 1. Does the About the Author box at the end of each post display all the information about an author that’s displayed on author pages—all of an author’s social media links, for example? 2. Can I upload an author photo for the bio section or do I have to use Gravatar images? Not all authors have Gravatars, so I prefer to upload my own author photos. Yes, you are right, only thing, that in slider are displayed the slider posts not blog posts. In Slider Manager, you can set the slide image, title, description and url on image click. 1) I have changed and in posts and in About the Author will be displayed the same info not only author description. 2) Unfortunately, the function works only with gravatar images. Is this compatible with Ubermenu plugin? I have no this plugin and haven’t tested with it.